The Instant Calm: Chamomile & Rosehip Calming Day Cream by Pai is designed to soothe and calm to skin with natural ingredients and innovative formula. With Omegas 3, 6, 7 and 9 to keep skin hydrated, CO2 extracts of German Chamomile and Rosehip to restore and Matricin and Azulene to soothe, it keeps irritations at bay to ensure your complexion is kept soft and supple. Ideal for hyper sensitive skin. K.D. Apply to face and neck whenever your skin needs a moisture top-up. 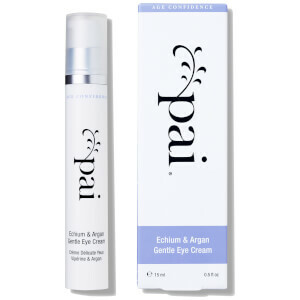 For best results, use with Pai's Camellia & Rose Cleanser. Store in a cool dry place. Use within 6 months of opening. *Certified Organic by the Soil Association (Organically produced 78% of product). Suitable for Vegans. Not tested on animals.